Reading this insider report from Smart 3rd Party will give you the answers to these questions and many more. Cisco, and its network of resellers, is a behemoth in the IT world because they are incredibly successful at producing devices and software that power hundreds of business globally. SMARTnet provides support for the Cisco networks with an impressive array of services and requirements for warranty and support as well as for maintaining customer networks during the stated life of the Cisco equipment. Right now, in many IT organizations, there is an over-reliance on Cisco. This paper aims to show that there are other options and, with them, huge savings (50-70% to your end customer) and risk avoidance. 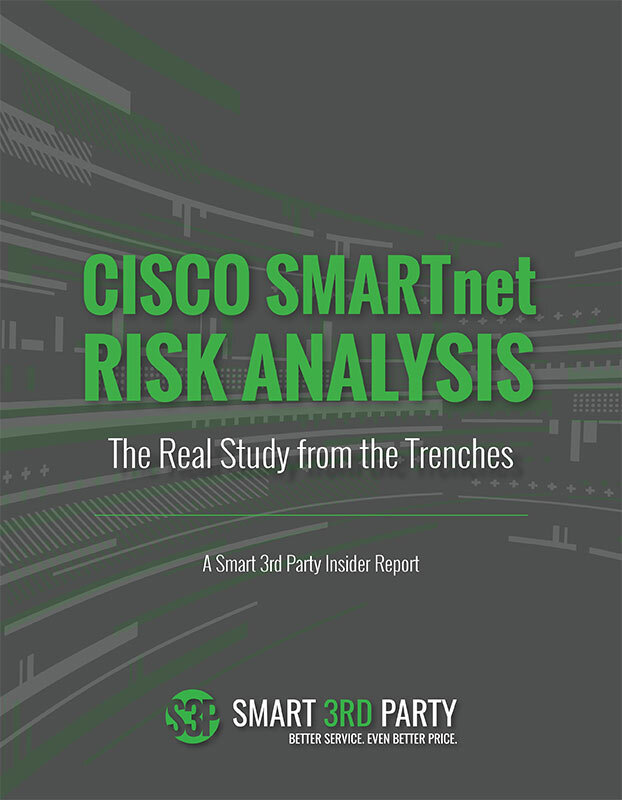 Download this report and find out the answer to the real question: How “Smart” is it to Rely on SMARTnet? Maybe not as “Smart” as perceived?